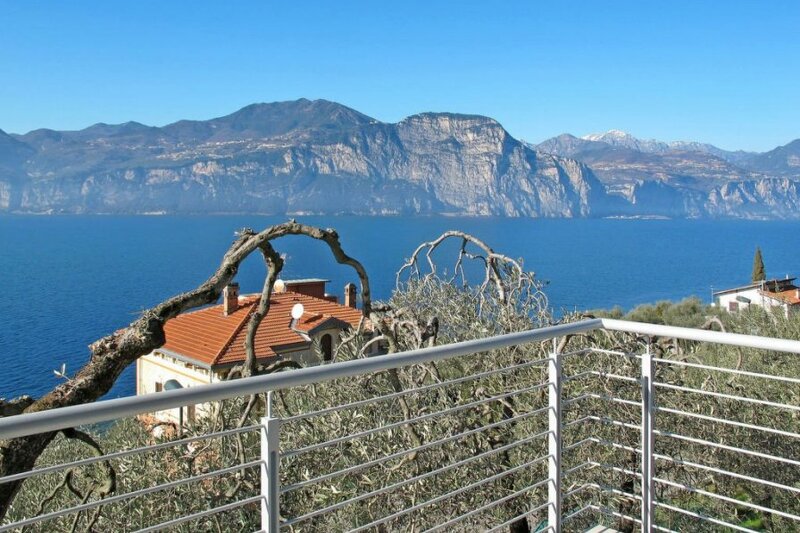 This 1 bedroom apartment is located in Magugnano and sleeps 2 people. It has WiFi and air conditioning. Apartment, 2 people, 2 room/s, 1 bedroom/s, 1 bathroom/s, approximately 45 m², 1 floor/s, apartment on ground floor, lake-view, renovated 2016, separate access to the property. Equipment: TV; internet access Wi-Fi (included); air conditioning (in the living room and in the bedrooms); underfloor heating. Heating/air-conditioning if required, € 7/​day. Holiday resort tax. Linen/towels Linen/towels must be brought along. Bed linen available on loan, € 8 per person/​change (on order). Towels available on loan, € 5 per person/​change (on order). Deposit € 130 (in cash). Pet not allowed. Situation: suburbian area Brenzone, hillside location, lake-view. Estate (shared use with holiday guests): partially self-contained (fence, wall, entrance gate), garden. The apartment is described as good value for money. This apartment is located in Magugnano. The nearest airport is 51km away. It is set in a very convenient location, just 0 metres away from a beach and only 400 metres away from the city center.